By nature I’m a curious individual. This quality suits me well for my job in the dynamic, multi-faceted world of libraries. The American Library Association’s (ALA) 2015 Annual Conference and the Library Journal’s recent Lead the Change event were full of thought-provoking conversations and curiosity-inducing lessons about navigation and library discovery. While the concepts of navigation and discovery were presented as distinct library needs, in the ensuing days, they’ve become interwoven in my mind. I see them as sharing the common goal of improving the patron experience. Navigation was also an emerging theme that came out of my conversations with customers at the 2015 ALA Annual Conference. I had discussions on space flow and how to use observation as a tool to experience the library from patrons’ perspectives. I even heard from one librarian about forming a de-cluttering committee to create more space within a bustling and very full floor plan. Others simply said they needed “help with signage” and getting patrons where they want to go. 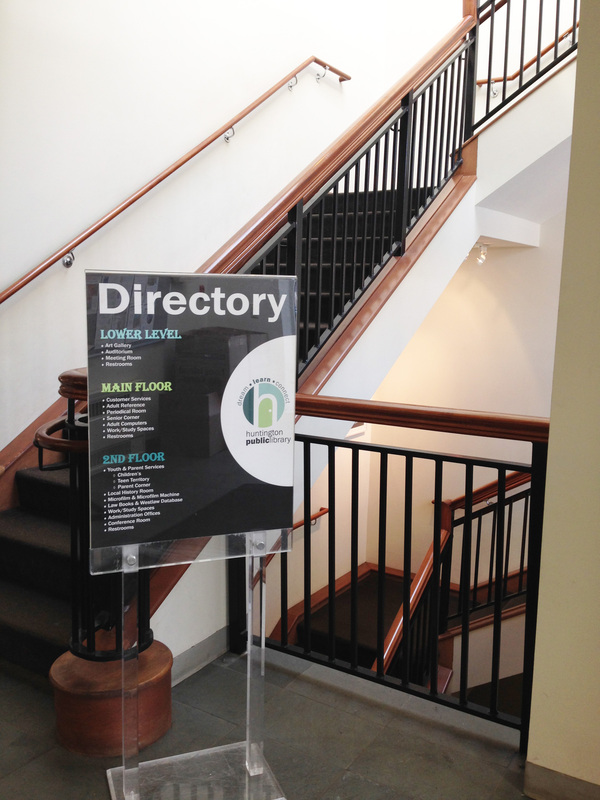 A quick glance at this easy-to-spot directory gets you headed in the right direction at Huntington Public Library (NY). Tall stacks are an opportunity to enhance patron engagement with intuitive signage and pops of color. Discovery was the stated theme of the Lead the Change event, “Transform Your Stacks to Drive Circulation” held at Gail Borden Public Library in Elgin, IL. A mere 200 years ago, the earliest libraries chained books to desks, requiring users to be inside the library to access information. Today eBooks are downloaded and holds are placed online for convenient pick up. 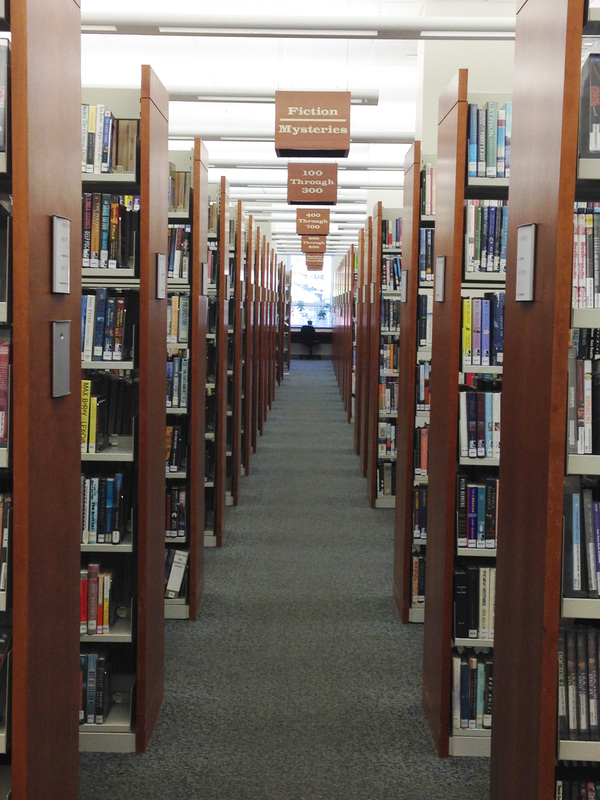 In some libraries you don’t need to venture more than 10–20’ into the entrance for a quick pick-up and checkout. While this service model meets customers’ demands for efficiency, it also presents a challenge: How do you deepen patrons’ engagement with the library and draw connections to other areas of your collection, services or programming? Access to books for personal advancement was a foundational piece in the formation of the library as an institution in the 1700s, and today books remain the biggest and strongest draw to the library. Librarians are highly trusted people and a preferred source of discovery, filling the role of readers’ advisories in library parlance. With over 1 million titles released in 2014, it can be daunting to find a good read, and many patrons prefer to stick with what they know and like. This means they are going to the same area of your library, and very likely taking the same route time and again. These patrons have no need for navigation support – they already know the way to their destination. However, this is a perfect opportunity to experiment with discovery. It may take the form of themed displays, read-alikes or staff picks positioned within the stacks. Your discovery strategies can lead patrons to a different part of your collection or create interest in a program. This takes them on a new journey within your library — one that now requires navigation help. Themed displays at Gail Borden Public Library (IL) are hard to ignore with large signage and face-out book displays. Your devout online hold users may also be playing it safe and sticking to what they know and like. 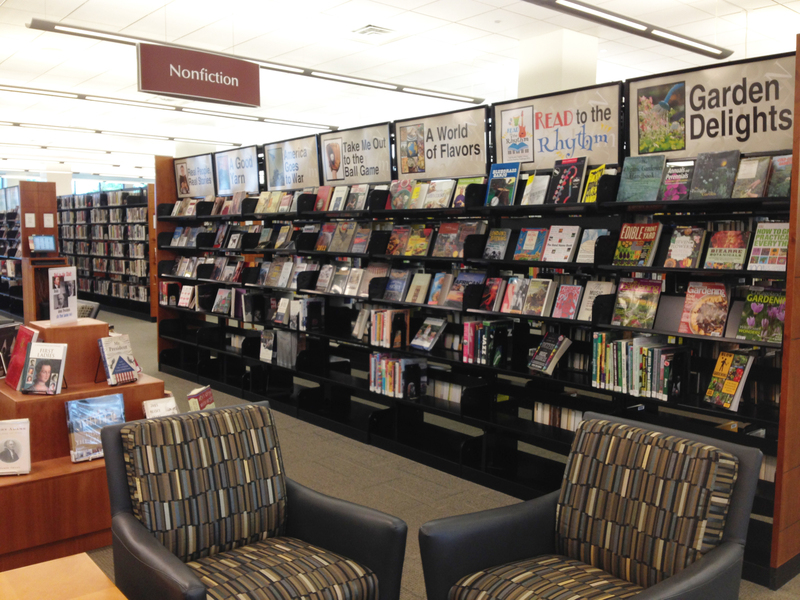 In addition to web merchandising, how do you engage them during their brief visit to your library? You can tap into point-of-purchase retail strategies and merchandise within the holds area. Or, similar to milk placement in the grocery store, would you dare place holds deeper within your library space? Effective signage and wayfinding will lead them to their destination, but it also creates opportunities for discovery along the way. For example, my designated branch library for hold pick-ups is fairly small and my holds are placed just inside the main entrance. However a feature display smack-dab in my line of sight pulls me in every time. I always find a few extra minutes to scan the titles to see if there’s anything I just can’t miss. Sometimes I have to settle for snapping a picture of the front cover with my phone and adding it to my future reading list. 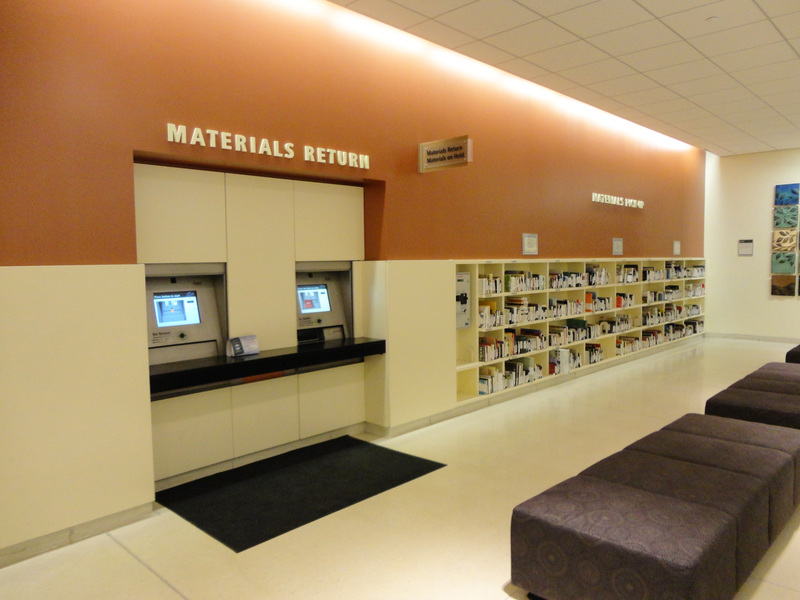 Fountaindale Public Library (IL) offers convenience and easy-to-find holds. For each one of us, navigation is an everyday occurrence. Sometimes it includes a benign commute to the office or a trip up and down the aisles of a grocery store. If we’re lucky, one day we could take the trip of a lifetime to an unknown, exotic place. Nonetheless, the resources needed and our openness to discovery vary. Sometimes we know exactly where we’re going, how we’re going to get there and we will tune out our surroundings. Other times it is a new experience that requires expert help. I’ve often heard librarians lament about the need for more robust marketing because there is so much more that the library has offer. 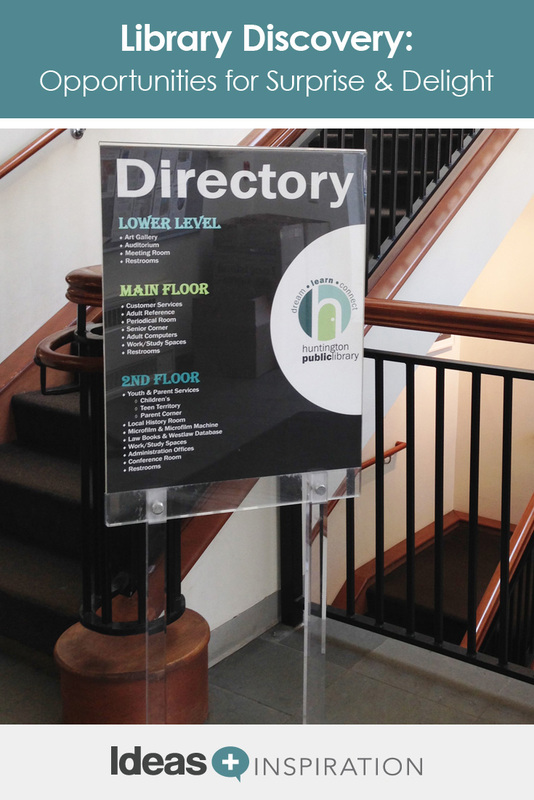 Perhaps part of the solution is also a signage and wayfinding strategy for improved navigation of your library space layered with intentional discovery. I challenge you to carve out time for patron observation. It can be very enlightening and revealing to let go of biases and the world you know so well. A four-part blog series helps you understand the art of wayshowing, wayfinding and guiding paths of discovery. Start with Part 1: Signage as a Component of Your Space Design, Merchandising and Service Models. I am responding on behalf of Angie since she is enjoying a week of vacation. We were glad to have such a great example from your library. Thank you for alerting us to our error. We apologize and have corrected the post.